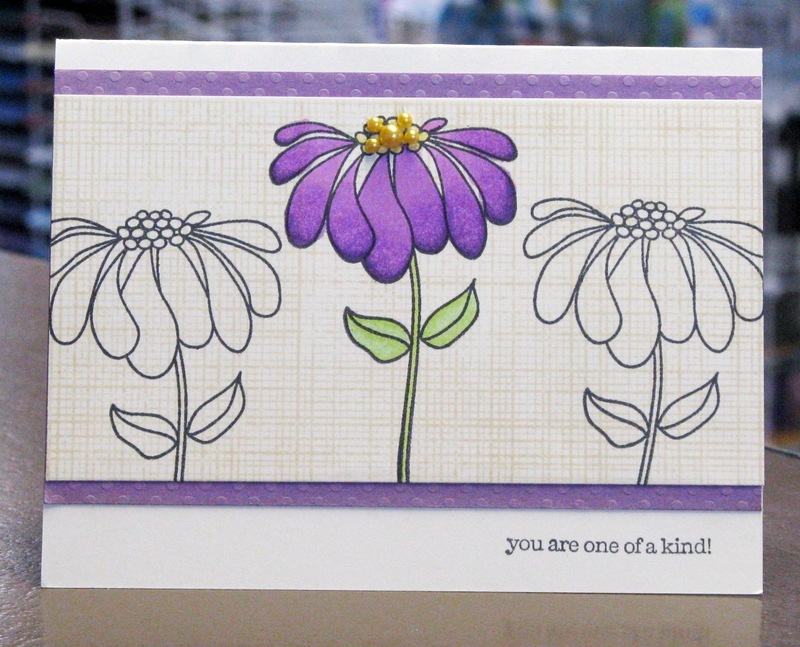 My first card was created simply by using white embossing powder to emboss these Hero Arts floral images on vellum. There is a little bit of glitter added to lines of the flower for extra interest with pearls for the centre. Because you can see most adhesives through vellum, I used glue dots beneath the pearls so they’d be covered up. LOVE the Envelopments Seashell cardstock, which is a pretty blend of shimmery pinkish gold – just like a real conch seashell. These Hero Arts flowers were again embossed on vellum with white embossing powder and I colored the backs with Copic Markers. I love the watercolor effect, but too much blending can really make a mess so keep that in mind if you try this technique. 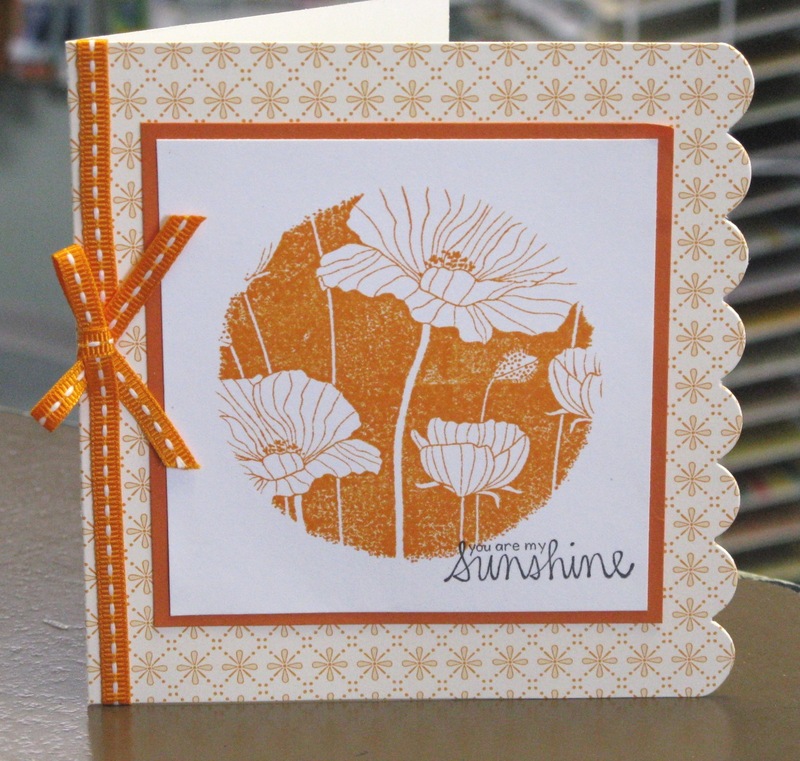 The white panel was embossed with a notebook embossing folder from Sizzix. So as you can see, I’ve had a productive week – even though all of these cards were designed to teach a class, I had lots of fun making them. I even made a Scrapbook Page, which I’ll save for another post.